Before starting something new it is a good idea to at least summarize the old thing. 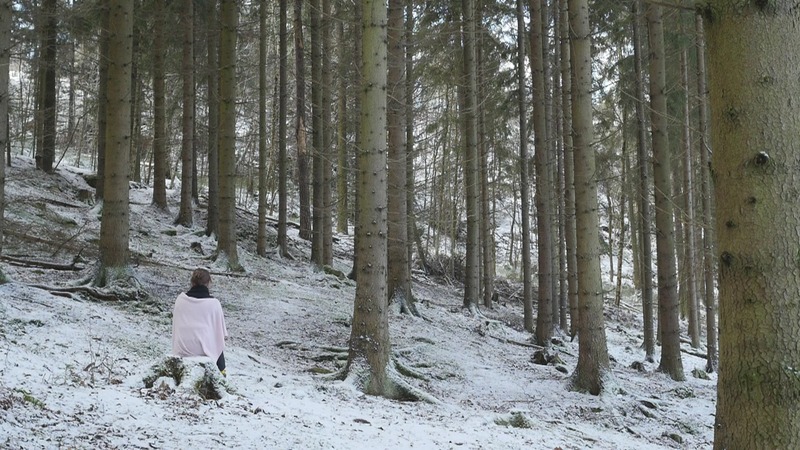 A strange little project, mainly published on instagram, has been going on since 2014, with a sliding beginning, but a very clear ending. See here. 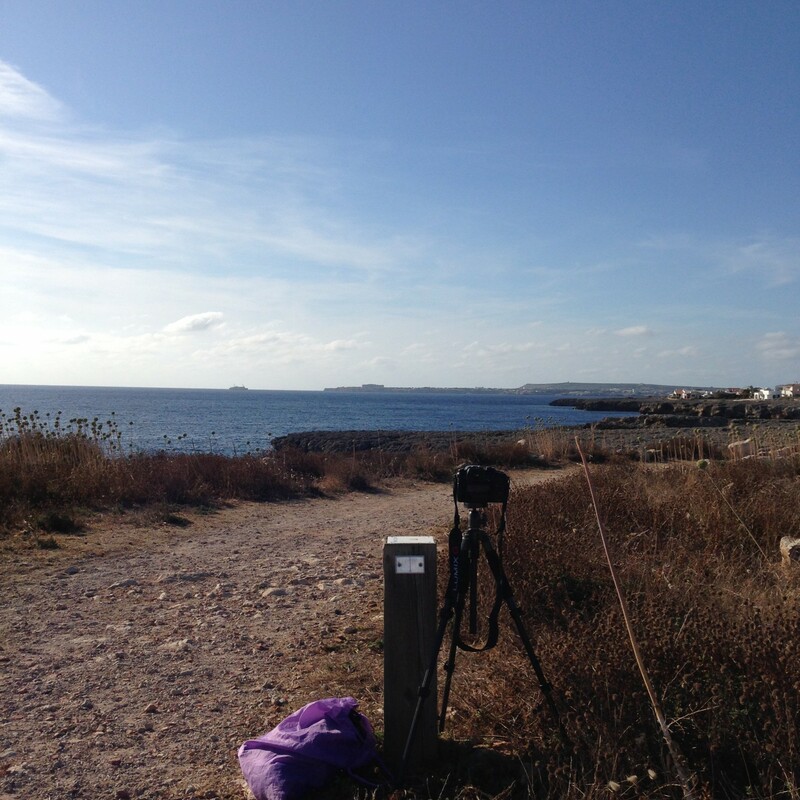 The first image was posted 22 July 2015 on Menorca (see the image above). 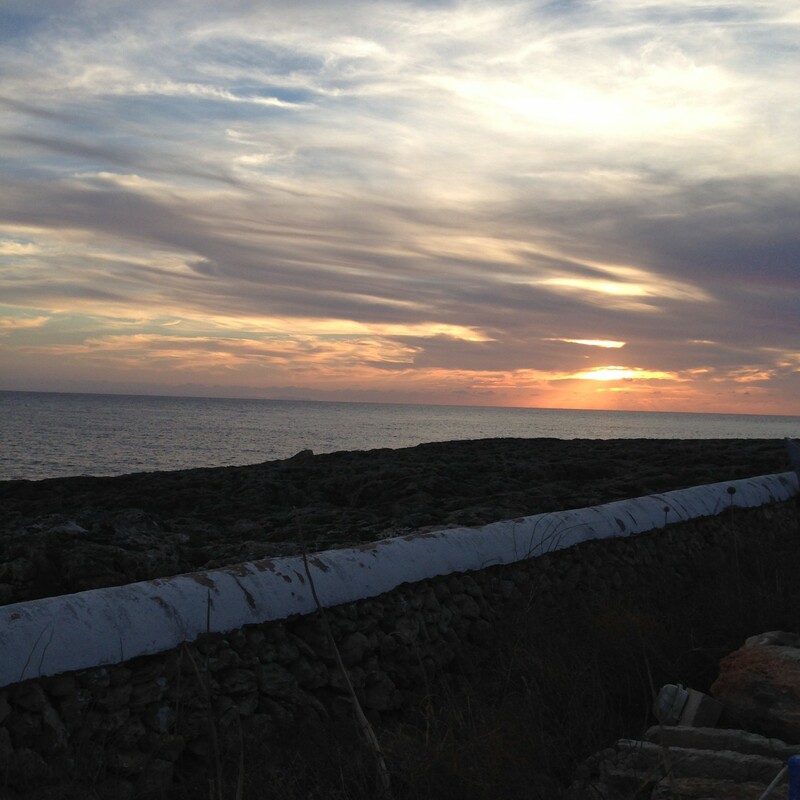 It was the first image I ever posted on instagram, a picture of the stone against ultramarin blue paint on a wall on Menorca. The last image was taken on the beach in Jandia on Fuerteventura on the last day of the year 2017, deliberately as an ending of the project. 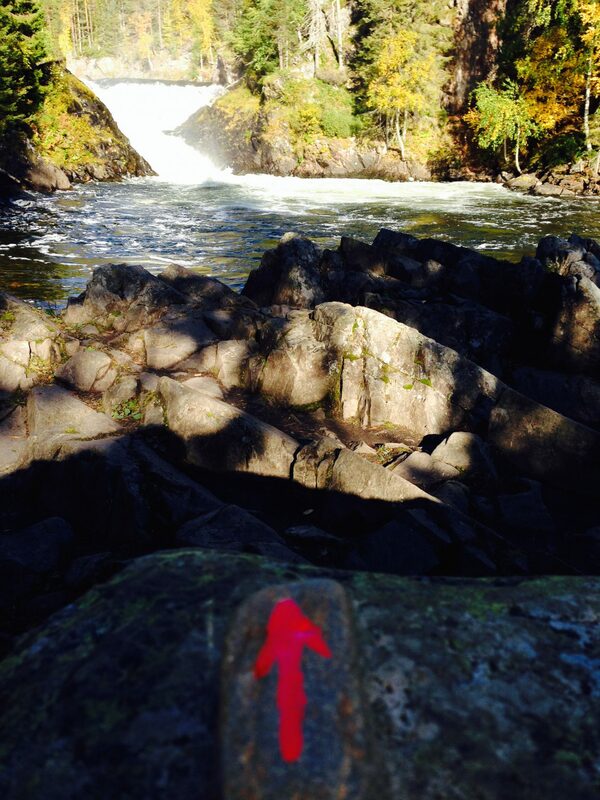 Actually the first time the small stone with the red arrow shows up on this blog or is mentioned anywhere, is in a post from Oulanka Nature Park on 14 September 2014. 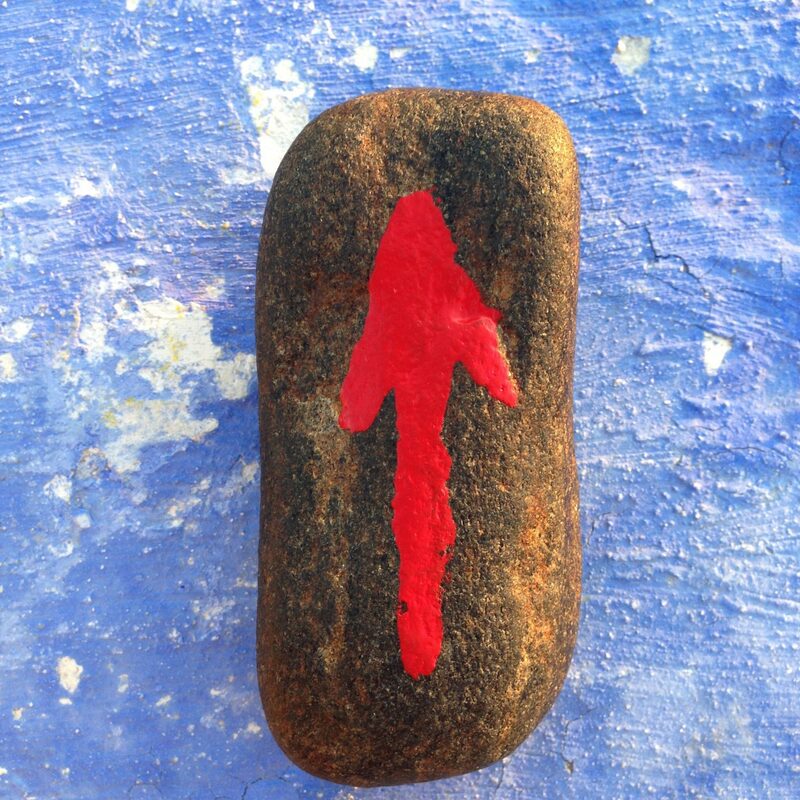 There I write about “some experiments with a small pebble I picked on Harakka Island earlier and painted a red arrow on, somewhat reminiscent of the double happiness sign I painted on a roof tile in Farrera in 1999, which resulted in the video work Double Happiness in Water (2001). 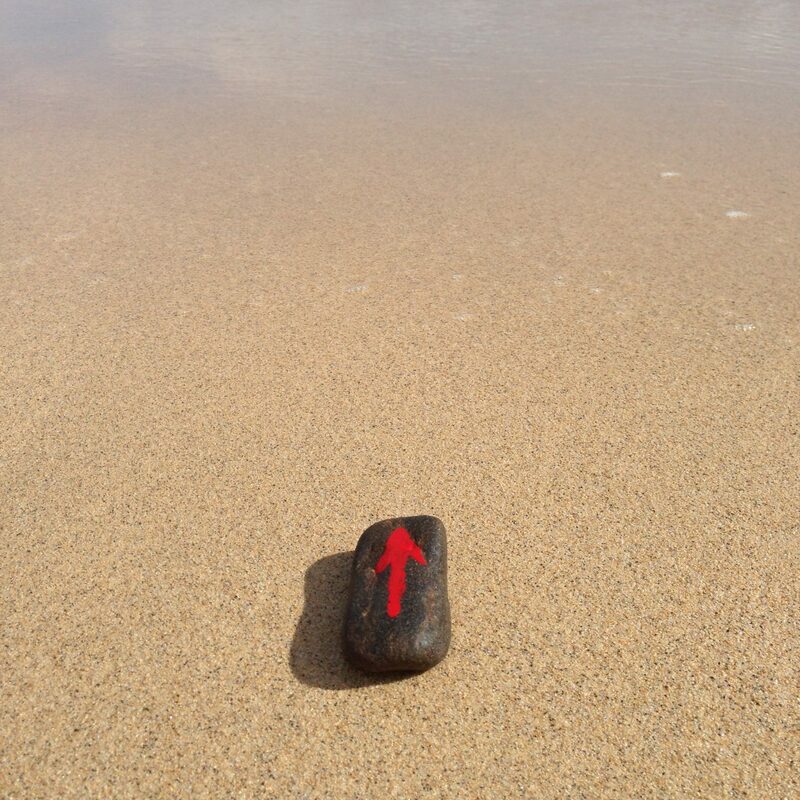 This pebble with the arrow I placed in the corner of the image, pointing towards something worth focusing on.” (see the blog post here) And as it happens the arrow is pointing at water in that image. The point of the project on instagram was to use the arrow to point at water in various forms, to highlight our dependence on water and the importance of water for life on the planet, as well as the various forms that water can take, its many transformations and uses. And to experiment with social media as a platform for a project, of course. Many of the images in the beginning contain drinking water, while most of the later images are beautiful landscapes with water in the background. My idea was to use instagram for a specific project, not for images in general, as most people do, but every now and then I added also images without the arrow. Before writing these notes I went through them and deleted all the others, to make the documentation ”clean”, thus the arrow images posted on instagram are now 210. What to do with the rest of the images – there are of course a lot more of them than the ones posted on instagram, and many variations of those ones, too – is another problem. The main reason for making these notes is to close the project in some manner, in order to begin a new one, which I describe briefly here. 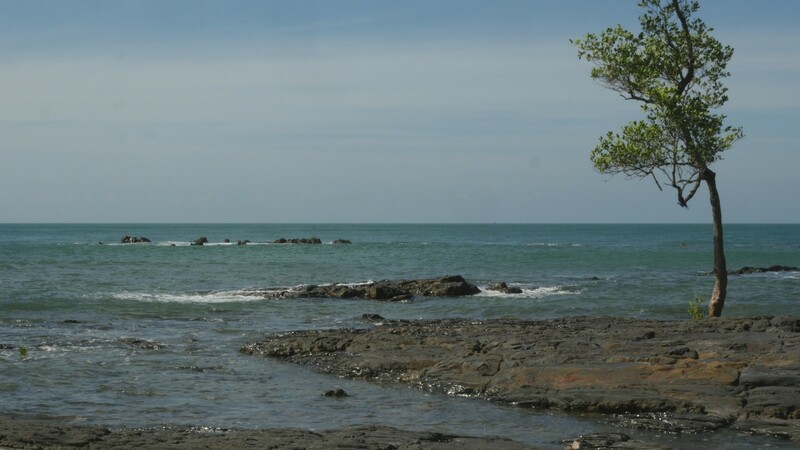 Arriving at Kan Tiang Beach in the peaceful southern part of Koh Lanta felt like a relief, partly because it was nice to be in a small tourist village instead of the hustle and bustle of Christmas in a tourist town like Ao Nang, partly because the feeling of being in the countryside was inspiring. Looking at the tide coming in and going out on the rocky beach yesterday made me decide that I would want to record the tide somehow. 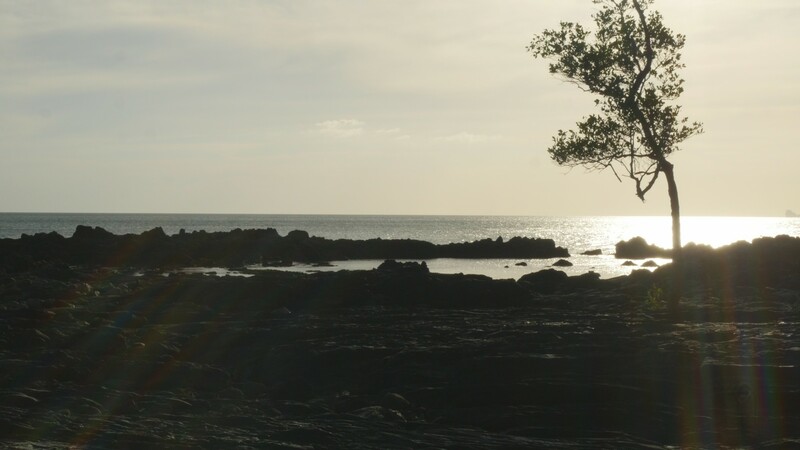 And today my travelling companion wanted to go to a small rocky cove nearby, because that would be a good place for snorkeling. 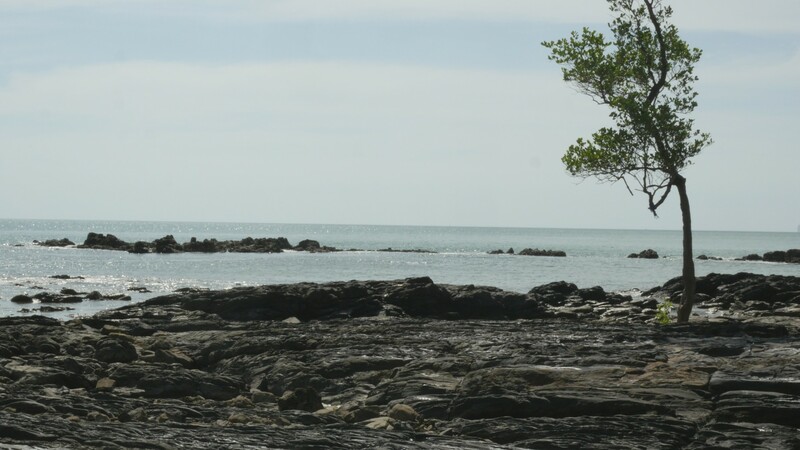 The morning was windy and I had no desire trying to do some snorkeling in rough sea – I have bad experiences of that before – but the idea of a small rocky cove sounded ideal for recording the tide, so I was happy to follow on the entangled path through the jungle. It was not far, but we lost the path and had to press ourselves through some heavy bushes, uh, and I was afraid I would never find my way out from there again. The cove was pretty and secluded, though. And I soon discovered the path from the beach, so I was not afraid of staying there on my own. 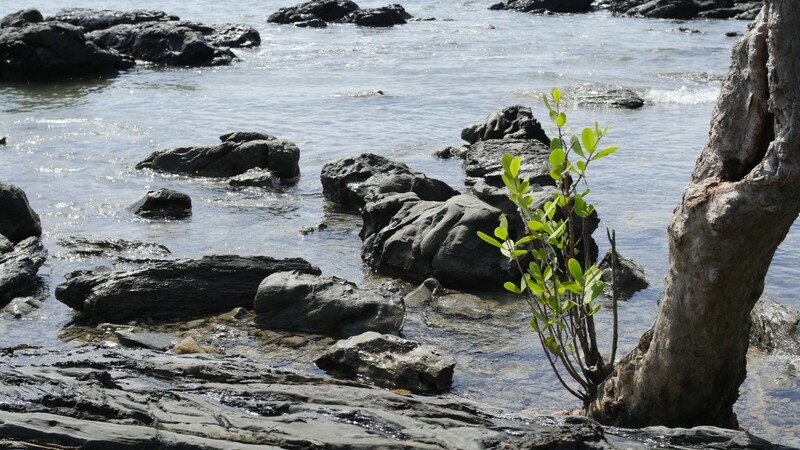 It was only a few hours before high tide, and a small tree was standing in the middle of the cove, growing right from the rock, or so it seemed. It would be standing in water by high tide, I assumed. So I framed my image to include the tree, and used the horizon to divide the image into two halves, as I am accustomed to lately. 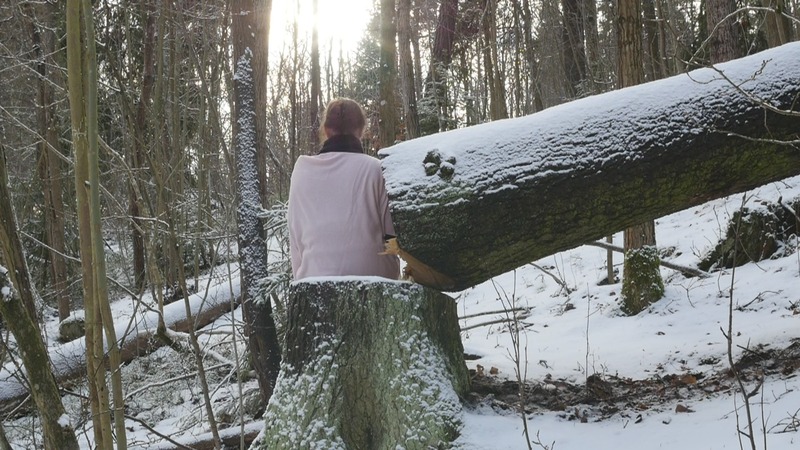 Then I walked into the image and stood by the tree, and intuitively leaned against it, using it for support and comfort. I decided to repeat the same image once every hour to record the changes produced by the tide and to use the time in between to record some images of rocks and water that could be combined into some sort of slow cross fade mix, perhaps. The tide never rose very high, and most of the day I spent recording the receding sea, which was not very spectacular, and searching for some shade in the intervals. The phrase ‘performing landscape’ feels outdated and quite impossible to use after reading The Ecological Thought by Timothy Morton. Well, the notion of landscape has been controversial for decades, and I have felt the need to explain myself for using it more than once. 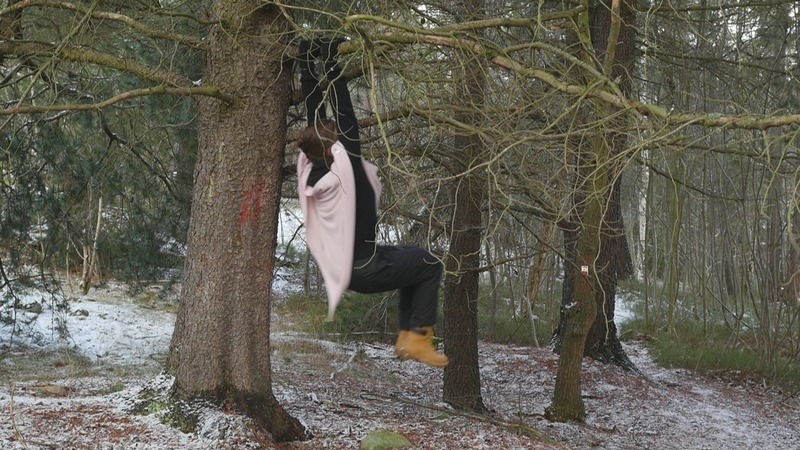 But now, when my twelve-year project of performing landscape is long since over and done with (although it has not been shown anywhere in its entirety, yet) it is perhaps time to discard the term and find one that feels more suitable for my current concerns. So how about performing the earth? That if anything sounds pretentious, but if we are supposed to think big, as Morton suggests, then why not. And the earth is not only this planet, of course, it is also the soil, the ground, the sand, the stones and the rock I am walking on. But how to perform the earth? Simply by walking on it? For years I used to perform by placing myself in one spot and then returning to that spot again and again to show how everything looked different every time. And of course that technique is still available. 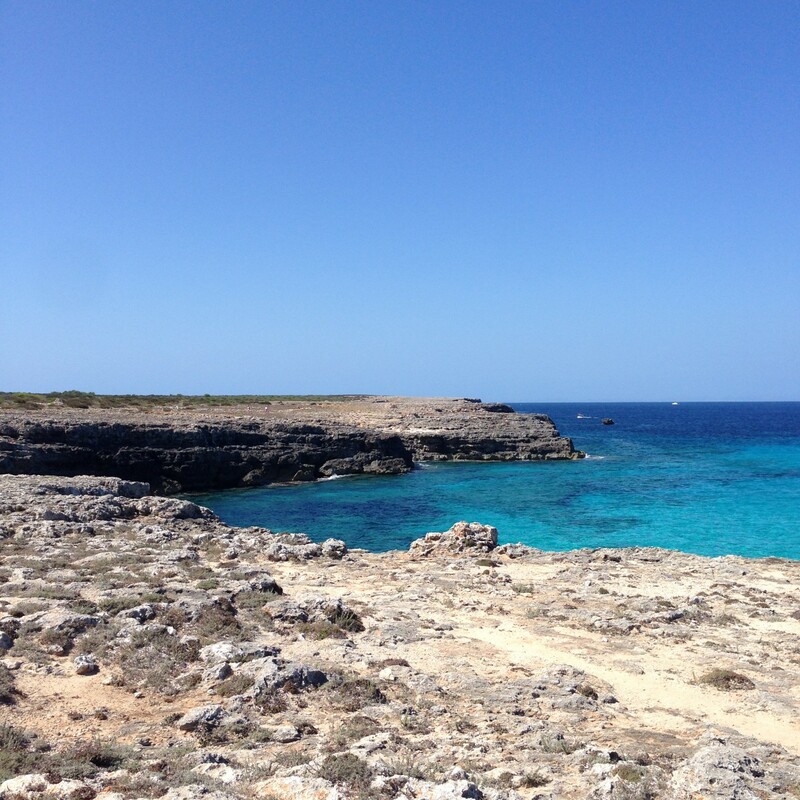 Here, on the southwestern shore of Menorca, standing in one spot does not seem the right solution, though. There is a path called Cami de Cavalls circumventing the whole island, and today I walked nearly five kilometers following it, from Cala’n Bosch to Cala Blanca (or whatever the name of the next small cove and tourist resort is). 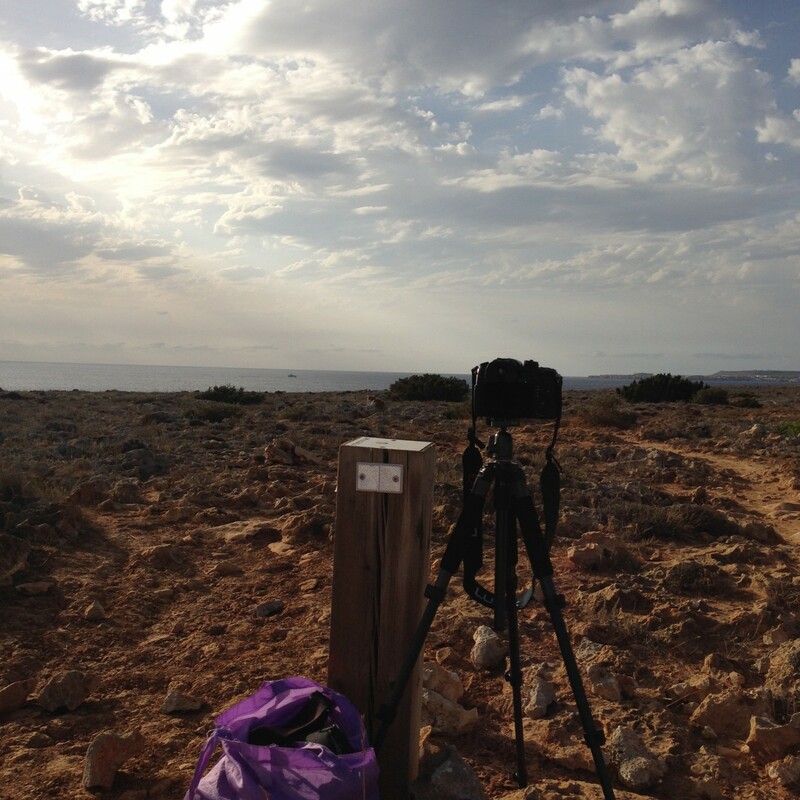 I carried my camera and tripod with me, but did not make a single image. Well, a few snapshots with my phone, just for evidence. But I thought about alternative ways of performing that path, which follows the coastline and stretches along the rough surface of the cliffs with only a small detour further inland among bushes and low vegetation. 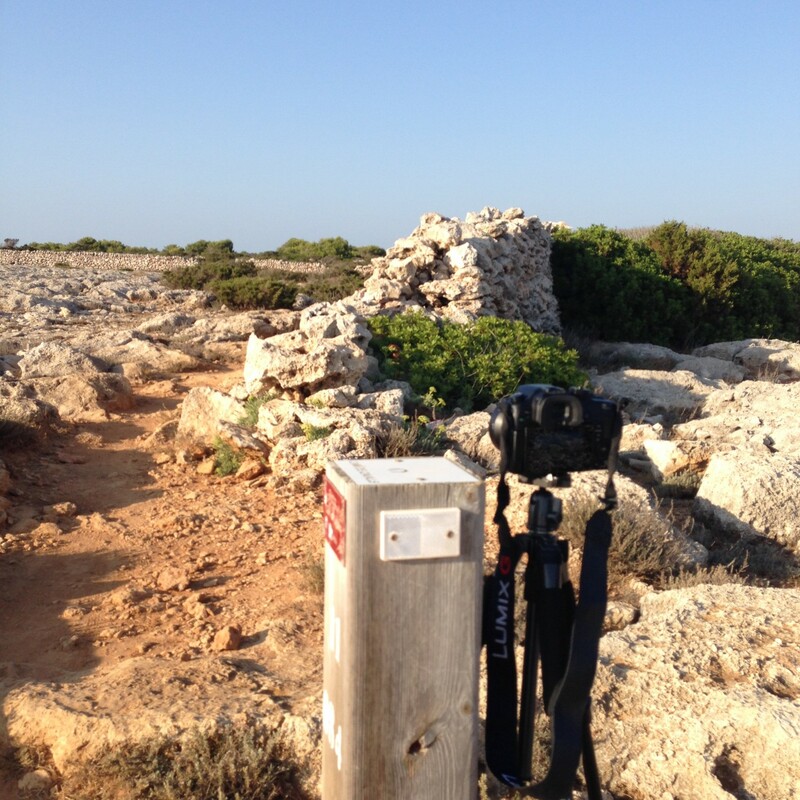 One option would be to use the small poles that mark the path as a tool or “rule”, a system to follow, for instance by placing the camera on each pole recording the view along the path from there (and no need to carry the tripod then!). Or perhaps I should stand by each pole and record the image from the previous one, which is not always visible, though. The distances really shift. Or perhaps I should simply record my walk, as I did with my very first attempts in Ireland and in Farrera de Pallars in 1999. What seems clear is the fact that the path is the thing to be performed and recorded. It forms a continuous yellowish line across the land, revealing the soil, the earth, where people and horses have torn away the scarce vegetation. 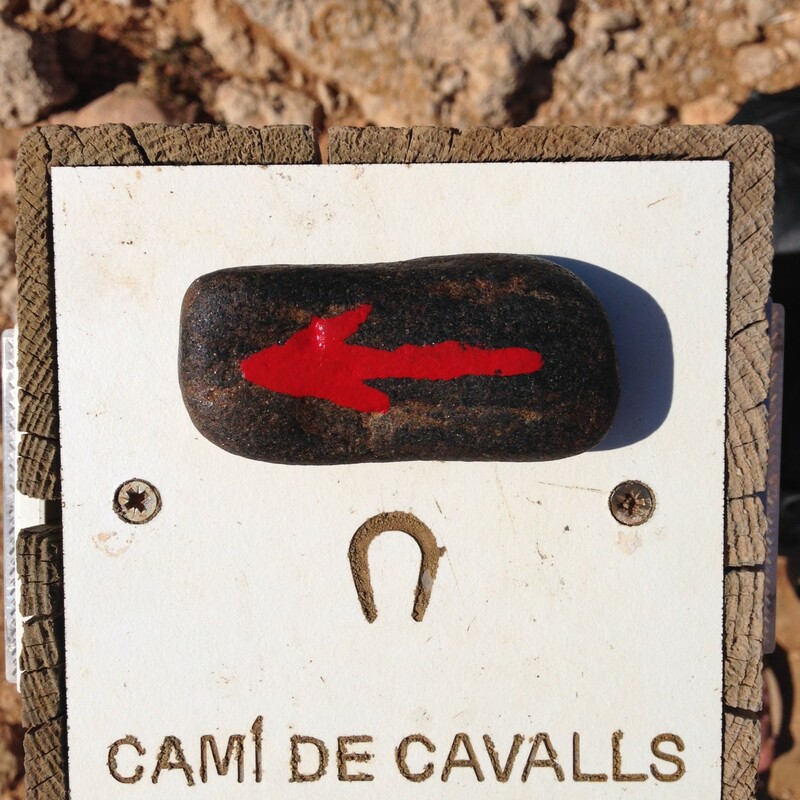 Not many signs of horses on this part of the path, though, neither excrements or signs of hooves. It seems mostly humans have used this path lately and while looking around, it is understandable. The views are great and the path is open, inviting everyone who wants a walk to follow it.